Dr. Cerise is the President and Chief Executive Officer of Parkland Hospital & Health System. 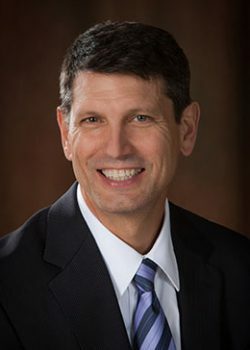 Prior to joining Parkland in 2014, Fred served as Associate Dean for Clinical Affairs at the Louisiana State University Health Sciences Center. From 2007 to 2012, he was Vice President for Health Affairs and Medical Education of the Louisiana State University System. Fred also served as Secretary of the Louisiana Department of Health and Hospitals from 2004 to 2007. He earned his Medical Degree at Louisiana State University in New Orleans and completed a residency in Internal Medicine at the University of Alabama in Birmingham. In 2011, he earned a Master of Public Health degree from Harvard University School of Public Health. He was recently appointed as a member of The Medicaid and CHIP Payment and Access Commission (MACPAC) and has served on the Louisiana Federal Health Care Reform Steering Committee and the Louisiana Health Care Quality Forum, among others.